Earth School Programs Earth School - "LOVE THE EARTH EVERYDAY"
Our Holiday plus 20% gift certificate special is here for a limited time! If I would recommend one class to you, this would be it! This experience is "what Survival and Self-Reliance is all about". 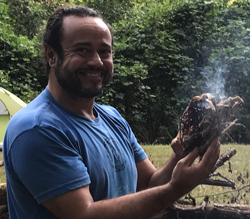 This course will give you a solid foundation in wilderness skills, heighten your awareness, and deepen your connection with Nature. "Survival is your birthright. Having the skills to take care of yourself is empowering." 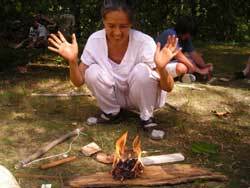 You will learn: how to make fire by friction, how to make a warm shelter, to gather wild foods and medicines, find clean water anywhere, cook and preserve food without modern conveniences. 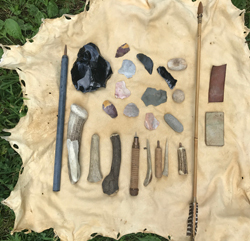 You'll learn how to interpret animal sign & tracks, all about hunting and gathering, making stone tools and fiber technology (from plants and animals). 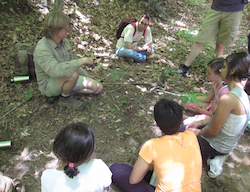 Powerful nature awareness exercises woven throughout this empowering program provide the ultimate learning experience ! This is an intensely informative program, but is not physically demanding. (NO you're not going to eat bugs! Unless of course, you want to :) I guarantee you'll learn more in this one program, than you would attending several years of various skills gatherings. Personal attention and depth of instruction at this program is unparalelled. "Give us a week and we'll Rock your World !!" 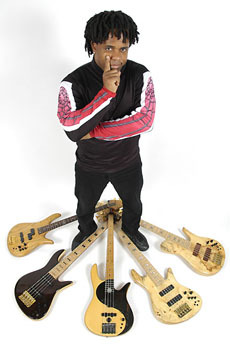 As many of you know, Victor is the Bass player for the famous band Bela Fleck & The Flecktones . He is considered, by his peers, to perhaps be the best Bass player in the world! He has won 5 Grammy awards and been nominated for several others. In addition to his music career, Victor has a passion for the outdoors and is an avid student of various nature and wilderness skills. For the past 19 years I've lead and overseen the Nature / Survival skills curriculum of his popular Bass & Nature Camp near Nashville, TN. This program is not a music camp...it is a Wilderness/Survival Skills Program. We do however expect that the majority of the students attending will have musical ability. Students will have ample time, most evenings, to express themselves (and Yes! Victor will play also). We suspect there will be lots of great music ! Also, you never know who will drop by ! 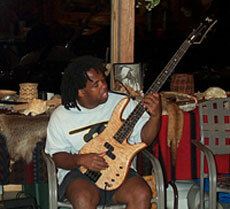 Bass Legends Chuck Rainey and Steve Bailey have attended this program in the past. Class location: Wooten Woods Music Center - near Nashville, TN. >> More info about this program! This is a shortened version of the Survival Skills Week. You'll learn all the basics about Survival and Outdoor Skills, and have a great time in the process! This is a very informative program, but is not physically demanding. 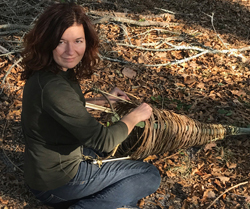 You'll make your first friction fire, help build a shelter, identify wild edibles, learn about safe water location and purification, make rope from plant fibers and much, much more. Simply... THE perfect introductory program! Testimonial: "Dear Richard...I simply wish to express what a blessing it was to share a weekend filled with your love and knowledge of the earth. This program was much more than advertised. Your compassion for our relationship with the earth shines through and fills me with a renewed sense of timelessness to be with all that is seen and unseen. You are a gifted steward Richard. Thank you with all my heart for your offerings." Shonna Campbell - Asheville, NC. This program is designed to immerse students into the "World of Survival, Nature and Self-Reliance" over the course of just one Summer. We’ve noticed over the years that when students take a program here…a program there…etc, they seldom have the time to incorporate and apply these lessons and skills into their daily lives. This program bridges that gap by providing a Wilderness Educational Environment that encourages and fosters participants to truly “live” these skills and lifestyle for this focused time frame. 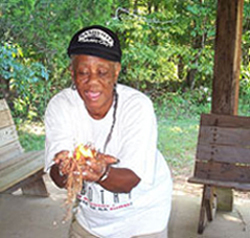 Experiencing the nature of Wilderness in this fashion and truly living it, is a powerful way to really understand nature’s gifts and mastering these valuable ancestral/traditional living skills. Over the course of these 10 weeks, you'll discover what it means to be a true steward of the Earth. You'll understand and feel your relationship with the Natural World like never before. This knowledge, wisdom and connection our ancestors had with the Earth is the only reason we are here today. Join us as we mentor you on your personal journey toward personal empowerment. Self-reliance, Nature Awareness and Real skills are all that matter... >> More info about this program! 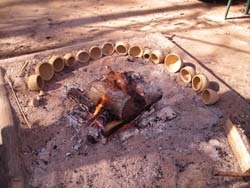 *Survival Bowmaking *Flintknapping *Arrowmaking *Firemaking *Atl Atls *Hide-Tanning *Cherokee Blowguns *Shelters *Pottery *Basketry *Primitive Cooking *Rock Oven *SteamPit *Food Preservation *Acorn Bread *Wild Edible Plants *Fish Traps *Fish Spears ...And Much More ! Sign up today for this one of a kind experience ! Materials, and meals are included. Adults $845 per week (Deposit $400 per week) (Attend both weeks and save $300) >> More info about this program! 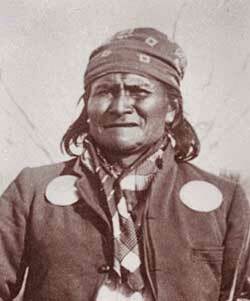 Native American Scouts were the eyes and ears of their tribes. Their highly honed Survival and heightened Awareness skills were critical in insuring the safety of their people. Join us as we re-create this valuable experience. Days will consist of learning and practicing various skills, then perfecting them in a simulated “Real World” situation. You’ll learn how to move through the woods unheard and unseen as your Tribe moves as "one" through the landscape observing nature and neighboring tribes. These skills are thousands of years old and can be adapted to fit any environment or situation…whether it be an urban, rural or wilderness setting. Come join us for this incredible experience! Reserve your spot today! Applicants will be considered on a first come first served basis. Class size is strictly limited!! Emergency preparedness is an important consideration for the individual or the family. The truth is, most of us are not only underprepared, but have NO plan for an emergency at all. Whether it be a tornado, wildfire, earthquake or just a power outage, having a solid plan just makes sense. "It is better to have and not need, than to need and not have." What would you do if you were faced with an emergency? Would you have a place to go? Would you wait for people to help? Could you fend for yourself?...for your family? The questions and variables are endless... My attitude has always been..."be prepared for the worst" because anything less than that is "NO problem." 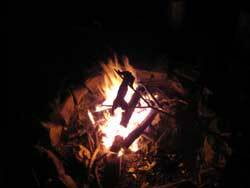 I've taught Survival Skills for many years, mostly from a minimalist point of view. I've bought my share of gizmos, gadgets and various gear...most of which were worthless and a waste of money. Over the years I've refined my choices to simply...what works and why. I'll show you all my top gear choices. We'll cover everything from Shelter, Water, Fire and Food to Clothing, First Aid, Personal Hygene and well beyond. I believe every member of the family should have an "Emergency, GO Bag" and know how to use it. Even a squirrel stores nuts for the Winter. "Being prepared is just SMART!" Fall is harvest time! Nature provides many opportunities to supplement our diets through the Winter months. Acorns are abundant and should be gathered now! I believe that acorns are one of the most nutritious sources of food that we have available to us, and definitely the most ignored. 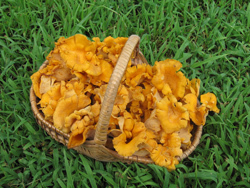 Join us for this fun day of foraging the wilds that surround us! We'll show you how to process acorns for delicious bread and store the extra flour for future use. 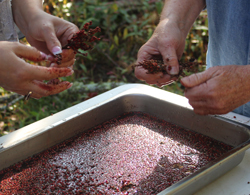 We'll also make a remarkable drink from our local Sumac trees (no, not poison Sumac:), which are loaded with vitamin C.
Sassafras tea will also be on the menu. If you've never had it before, you're in for a real treat. Sassafras is the original root beer! As time permits, we'll also teach you about the local edible & medicinal plants that surround us daily. This class is a true hands-on experience! Simply... a MUST for anyone who wants to become more self-reliant and explore a deeper connection with Nature. Many of us are very familiar with a chainsaw. It's raw power is amazing. But what if you had to cut wood without one? Could you do it? Do you have the knowledge and proper tools? This program will introduce you to the lost art of axemanship. You'll learn all about axes, saws, mauls and more. We'll teach you how to properly attach an axe head and make it razor sharp. 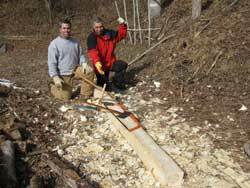 You'll learn the techniques necessary to safely fell trees and turn them into firewood or timbers for building projects. Felling and cutting trees by hand will teach you a lot about yourself. It's very satisfying and great exercise! 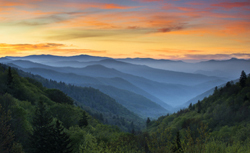 Come learn how to be the complete outdoorsman! Meals included. Back by popular demand. I've ran several of these programs the past few years with great success. Learning how to feed yourself is a powerful skill indeed ! We'll start with Marksmanship and safe gun handling. Then we'll take you into the field and show you how to Hunt small game properly. You'll learn all the basics like interpreting animal sign, choosing proper hunting locations and how to use various game calls. We'll be focusing on Rabbits and Squirrels mainly, but we'll also discuss strategies for hunting other game like Turkeys, Woodchucks and various predators. Wild game is truly "fine table fare" and a very healthy alternative to Commercialized meat and high Supermarket prices ! 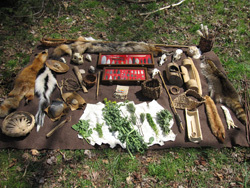 You'll learn how to properly field dress animals, skin and cook them over an open fire or make amazing stews and soups ! Though students are responsible for their own food at this program, you'll get to sample various wild game dishes. This great educational experience will empower you and enrich the quality of your families lives for years to come ! ****This class is taught from a very positive point of view. Respect and use of the entire animal will be stressed. ***If you plan to hunt you must have a valid North Carolina hunting license, (this may require your participation in a Hunter Safety class before your license will be issued...plan ahead !!) If not, you can be an observer. Still, there will be lots for you to learn and experience ! Dates: Private instruction is available upon request... Call to schedule your hunt today ! Small Game Season runs from September 2018 until February 28th 2019! Finally an outdoor program just for Women! Many of you gals have asked...so here it is! Everyone loves the Great Outdoors, but many of us were never taught the most basic of Outdoor Skills. Self reliance is empowering! We will cover all the basics of camping and proper gear selection. 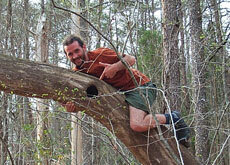 You'll learn numerous survival skills and many wonderful nature awareness exercises. Learn how to set up a great camp, make a natural shelter, make fire... several ways, tie useful knots, purify water and beyond. 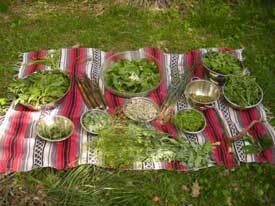 Wild edible and medicinal plants will also be utilized and discussed in this program. In this program, designed exclusively for teenagers, students will develop a new sense of confidence and empowering self-reliance as they explore nature, ancient skills, and the lore of the Native Americans. Wilderness Survival Skills are the core of this program. 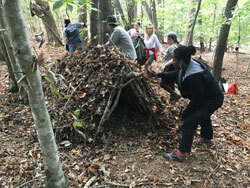 Students will learn numerous outdoor skills, such as Primitive fire-making, shelter building, safe water purification and how to identify wild edible and medicinal plants. From here we'll expand outward and introduce your teenagers to variety of nature awareness exercises. These lessons will engage and enhance all of their senses and heighten their level of Awareness for their entire lives. Teens will come away with a true understanding and respect for nature and life in this great program. 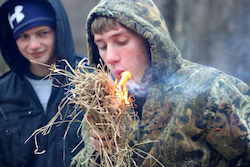 >> Read more about teenage "Rites of Passage"
Have fun with your Family while you learn Outdoor Skills together. 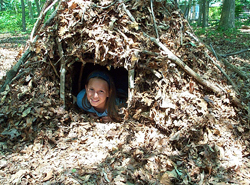 Families will learn a variety of valuable Survival and camping skills. Traditional Archery, Animal Tracking and Nature awareness exercises round out this weekend experience. 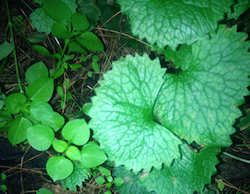 You'll also learn about plants as we'll collect Wild Edibles for our Saturday night group potluck dinner. And of course! 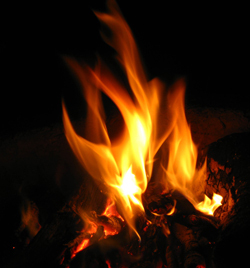 You'll sing songs, hear traditional Native stories, lore and tell tall tales around the evening Campfires ! Join us for a Nature-ally Fun Family Experience ! Testimonial: The weekend stays with me, and continues to gift me in memory. Rosa and I got so much out the experience, and I wanted to thank you sincerely, from both of us. Also, I want to tell you what a wonderful teacher you are. (I have been a teacher for 25+ years, so I feel I have some street cred here when I say that.) Your manner and methodology spoke to all of us, and your humble and honest messages were, I believe, relayed in a way that resonated with young and old (that would be me) alike. I REALLY appreciate your content, style and presence. It all works. It was a rich and meaningful excursion, and we loved it! Keep it up Richard! Testimonial: " Richard...The weekend that my son and I spent with you was grounding, inspiring, challenging, and empowering. Both he and I were moved by the deep connection with the earth possible through the skills you teach so well." Time: Friday afternoon - to Sunday 3pm - Limited enrollment! 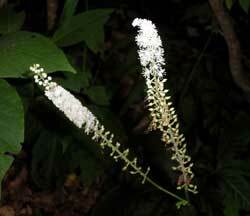 Wild plants are everywhere! Their beauty surrounds us and we couldn't live without them. Did you know that most of the plants in your own backyard have more nutritional value than the produce you purchase at the supermarket? In this comprehensive program, you will learn how to properly identify, collect, prepare delicious nutritious meals, and make effective medicines from the plant world. 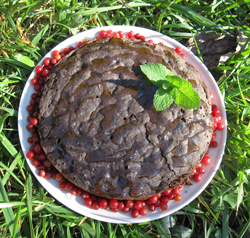 Wild edibles, that we collect, will be a part of every meal. Come learn how to provide for yourself ! 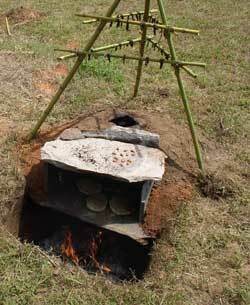 Traditional cooking methods will be taught as well. 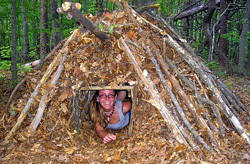 You'll even help construct and cook a meal in a steam pit and process acorns for wild nut bread! 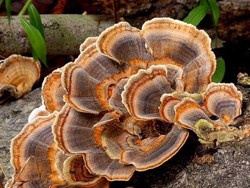 If you seek a deeper connection with plants and the natural world, this class is for you. No experience is necessary. 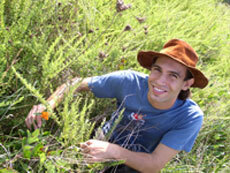 Testimonial: "Hi Richard, I just wanted to say that I very much enjoyed your Wild Edible and Medicinal Plants class. The depth of information was more than I expected and a pleasent surprise. The private instruction was equally useful. We covered a lot of material and I learned far more than I thought possible in only three days. I look forward to the next class." Tom Waddell - Las Vegas, NV. Dates: May 23-26 & August 29 to September 1 / Adults $425 ( Deposit $200 ) Materials & meals included. 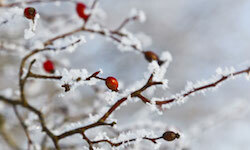 Come join us as we play in the kitchen and make a variety of useful cold-weather medicines. 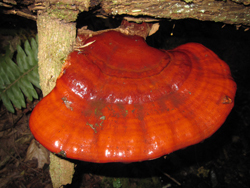 We will demonstrate tincture making with dried herbs, make a reishi mushroom dual extraction, and we will make a batch of our ever-popular fire cider. We will also enjoy a sampling of wild teas that were gathered and dried during the warmer months and discuss strategies for staying healthy during cold and flu season. Time: 10:00 am to 3:00 pm No experience necessary. Identifying trees can be difficult enough when foliage is present. When you understand some key features of trees, identifying them throughout the entire year becomes much easier. Trees are a tremendous resource to almost every aspect of our lives. Not just utilitarian uses, but also food, medicine and nature observation in general. We'll cover all this and more! Join us for this fun day in the Winter woods! Time: 10:00 am to 1:00 pm No experience necessary. 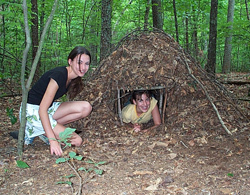 Natural Shelter Building - Family Fun! Shelter is number 1 in the sacred order of Survival priorities, yet most people have never built a shelter, let alone spent the night in one. 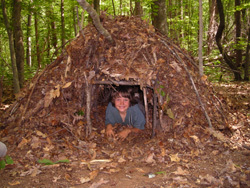 Join us for this fun shelter building experience. It's truly a valuable skill that everyone needs to know. Empower yourself, your family and lots of FUN while you're doing it!! Do have an interest in plants? 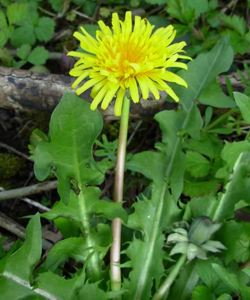 Join us for "A Walk in the park" Learn the art of identifying wild plants for food and medicine. We'll sample many trailside nibbles and discuss, in detail, their many uses. These plants are amazing gifts that we walk past everyday! "Come discover the world of wild plants and their many secrets!" 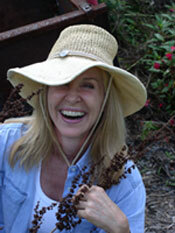 Come experience the World of Wild Edible Plants. 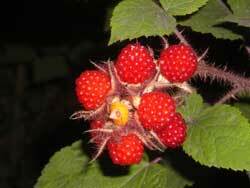 Participants will learn to properly identify, prepare and use a variety of Wild Edibles. Join us as we collect and prepare an entire meal from Nature. Samplings will include a wild edible stir fry, luscious cooked greens, a wild salad and a yummy dessert of Wildflower fritters ! 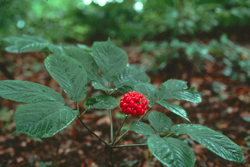 Students will also sample a variety of healthful wild teas including sassafras and spicebush ! Time: 9:00 am to 4:00 pm. No experience necessary. All materials included. Have you ever made a basket? Most of us haven't, even though we all use them. The truth is basket-making is FUN!! You'll learn how to make a traditional egg basket you can be proud of. We'll be using all natural materials for this project... "no store bought materials" Students will learn several styles of baskets. Everyone loves a good fire. No one can resist the magic of the dancing flames. Without the ability to produce fire, it is doubtful that human society would have evolved into the world as we know it today. 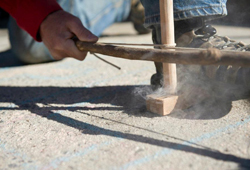 We'll focus on the Bowdrill method, but a variety of firemaking techniques will be demonstrated in this program. Many clever and unique historical methods will be demonstrated and discussed as well. 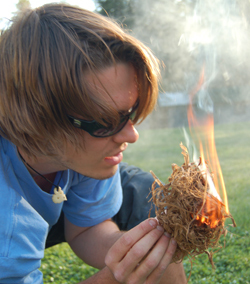 This class will challenge and refine your firemaking skills. Come experience the gift of fire! You will never look at fire the same way again. No experience is necessary. All materials included. Participants will create their own Bowdrill kit to take home! 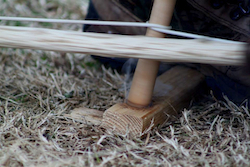 Come learn the magic of "The Bent Stick" in this in-depth comprehensive course teaching the ancient art of bowmaking. You'll get plenty of hands-on experience as you learn how to make your own self-bow. Starting with a wooden bow stave an ending up with a beautifully functional bow is an amazing experience. You'll learn traditional Cherokee arrowmaking using our native rivercane, you'll even make and attach your own bone arrowhead ! The manufacture of bowstrings using natural & modern materials will also be covered. This is a truly remarkable program. Be prepared for long days, hard satisfying work and great rewards! A Hickory or Black Locust bowstave is included with the tuition. The rich history of archery is thousands of years old. Here's a fun program that everyone enjoys!! You'll receive expert instruction on equipment selection, proper form, shooting etiquette and archery safety. We'll even hold a friendly tournament (complete with prizes!). Come experience the magic of "The Bent Stick". Rocks are beautiful and the ancient artifacts made from them are fascinating. If you’ve been lucky enough to find an arrowhead or even hold one, you know what I mean. Why not learn how to make your own? Let us teach you how ! No experience is necessary. All materials and tools are provided. Class location: Near Hendersonville, NC. 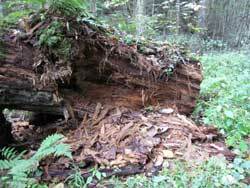 Each year thousands of deer hides are discarded by outdoorsmen. Learn the art of making soft supple leather, from animal skins, the natural way. 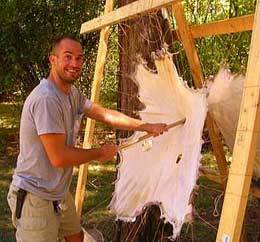 From start to finish, students will transform deer hides into beautiful buckskin ! Hides have a multitude of uses, and can be made into drums, clothing, bags, hats, moccasins, mittens and storage containers. The possibilities are endless! Respect and use of the entire animal will be covered in this class. Students will also make, and learn to use an Atl Atl, a fun and highly effective Aboriginal Spear-Thrower. Time: Thursday pm. to 5 pm. on Sunday. Materials & meals included. Here's a fun class to heighten your tracking and awareness skills. 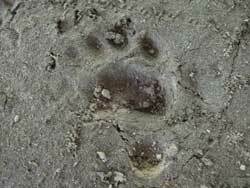 Join us as we explore the woods, fields and riverbanks in search of Animal tracks and sign. Learn how to read the landscape and understand how the Animals' lives ebb and flow as they relate to their natural environment. I guarantee you'll never look at Nature the same way again ! Tracking is the ultimate awareness. This program is designed to take your tracking skills to a higher level. Whether your interests involve Nature Awareness, Search and Rescue, Law Enforcement, Security or Military Applications... this class is for professionals and civilians alike. Each year thousands of people get lost in the woods...many never return. When someone gets lost, hundreds of good-hearted people volunteer to scour the landscape to help locate the missing person or party. Unfortunately, over 90% of these well-intentioned souls have no training whatsoever. As a result, these areas often become so full of tracks and disturbances, it becomes literally impossible for even a skilled tracker to sort through this mess and find the tracks of the missing person or party. Every minute can mean the difference between life and death. ~Private instruction and special classes are available upon request - call for details. Class location: Near Greenville, SC. Here's a program for the serious Tracker. 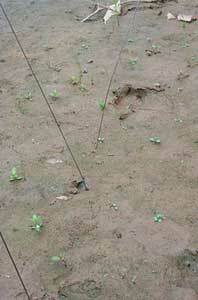 Most of us have been able to identify a few tracks in the mud, but that's only a small part of "The Story". 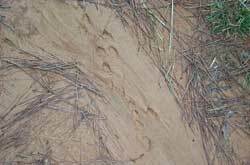 We'll take an in-depth look at animal tracks, gaits and patterns. You'll go well beyond compression shapes and basic track ID. You'll learn to "become the animal." Tracking, in my opinion, is one of the most powerful Awareness tools today! 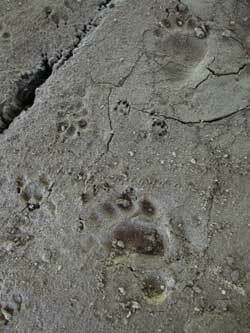 Join us as the tracks become alive and we explore and solve the mysteries that revolve around the lives of our beloved wildlife. 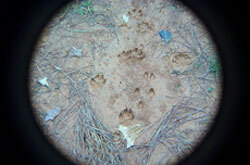 We will likely see the tracks and sign of deer, fox, coyotes, raccoon, opossum, squirrels, rabbits and even mice. You just never know who's trail we may come across ! It may surprise you to know just how many neighbors you really have !! Come learn " The Art of Seeing ".